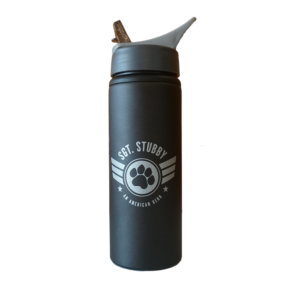 Now you can carry your love of Stubby everywhere you go! 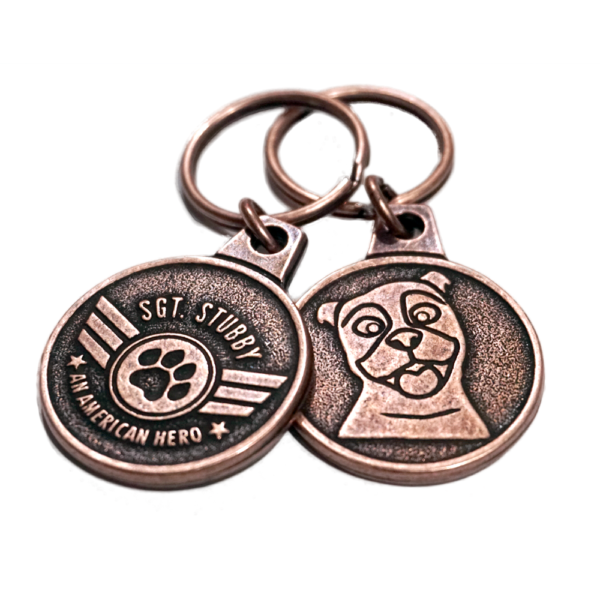 This attractive metal keychain features the official Sgt. 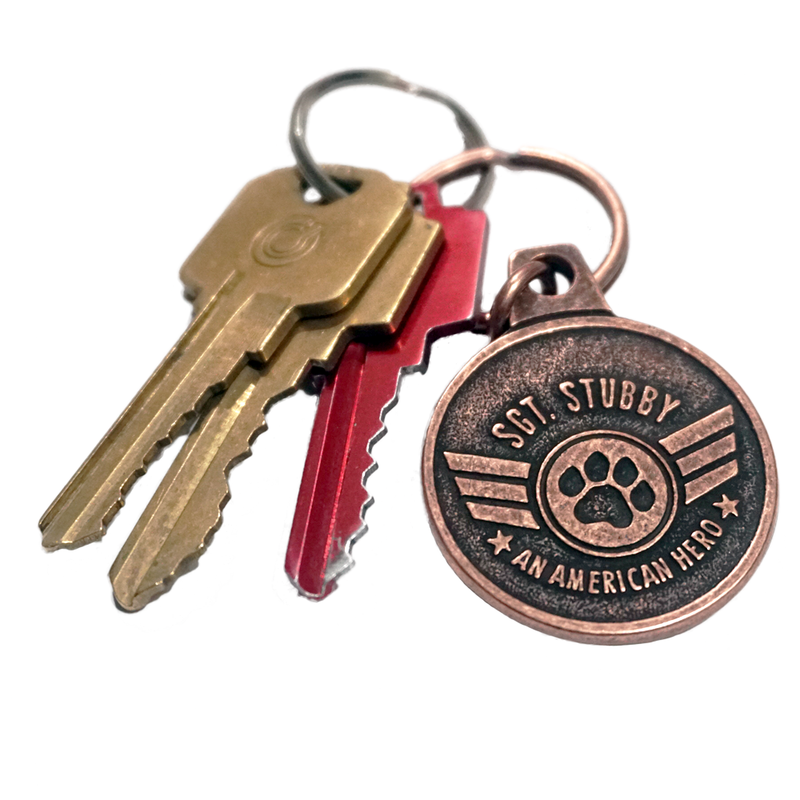 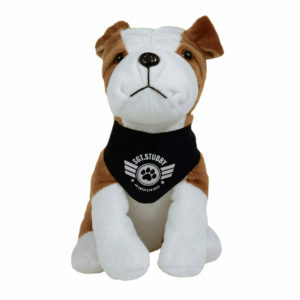 Stubby logo on one side, and the likeness of Stubby on the other.